You are here: Home / Health & Beauty / Can Soap Expire? Can soap expire, causing discomfort? Four out of five households are unaware that soap can expire. How does this affect you and your family? One out of three healthy individuals carry a skin bacteria know as Staphylococcus Aureus. This bacteria gets passed from the person’s skin onto the soap, which can lead to a serious infection when exposed to a wound. Expired soap allows for the bacteria to grow rapidly and dangerously as the fats and essential oils have faded in potency. Soap is made differently depending on its use. The expiration of a soap’s shelf-life is largely due to its ingredients. Overtime, the ingredients in bar and liquid soap lose effectiveness. If used past the expiration date, soap may harm the consumer; causing skin rashes and sensitivity. Organic soaps have a shelf-life of 18 through 24 months, while commercial soaps can be stored for up to 3 years. Interestingly, the fat in soap (needed for lather) also break down quicker when exposed to oxygen and moisture. Commercial soaps are made with synthetic preservatives that can extend the soap’s shelf-life, yet harm your skin. Natural and organic soaps, are infused with real plant extracts and essential oils. As a homesteader or survivalist, what can you do to preserve the life of our soaps? There are ways to preserve soaps potency by storing it properly. 1. Keep stored in cool, dark areas free of moisture. 2. Once opened, start to use immediately. 3. Do not risk it – toss out any soap with mold. 4. Use natural soaps first, as they will expire before commercial soaps. 5. Preferably, buy shrink-wrapped soap bars. A savvy homesteader will keep all products stored appropriately and used them at the right time. 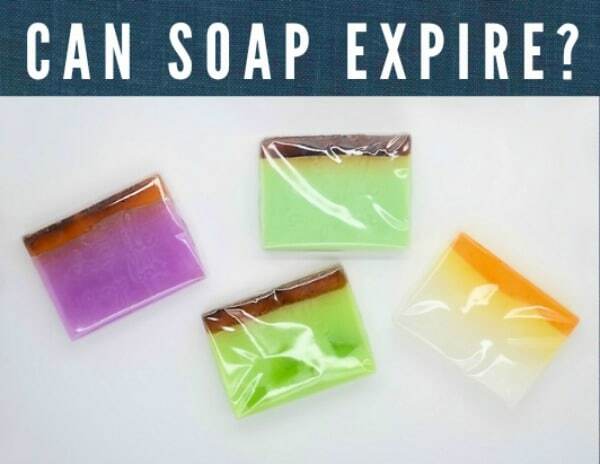 To learn more on how can soap expire, please visit castilesoap.com!